CBC VP Kirstine Stewart resigns: Debriefing, please. What does Kirstine Stewart know about the future of the CBC that the rest of us don’t? Why does anyone leave a position as the most powerful and influential media executive in the country to —as tech columnist Jesse Brown describes her new job—sell ads for Twitter Canada? And why leave immediately, without prior notice? 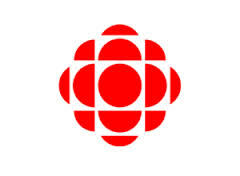 Stewart has spent seven years as a senior executive at the CBC, hired by the much-maligned Richard Stursberg to head up CBC television. She wound up replacing her boss as vice-president of all English language services when Stursberg was fired by the current CBC president, Hubert Lacroix in 2011. That’s seven years on the public payroll, in charge of the country’s single most important cultural institution. When it comes to public communication, the CBC itself is a lost cause, too deeply immersed in the issues of commercial secrecy and proprietary information to offer insight without a federal warrant. But we have a right to expect more of Stewart herself. She owes us. The citizens of this country need and deserve a full explanation of current conditions within the CBC, and how management is responding. The corporation is facing an existential financial and cultural crisis—a crisis of leadership and purpose—and the people who fund it need to know exactly what’s going on. It’s time for the silence and obfuscation to end. The country is in peril of losing its public broadcaster, in any recognizable form, and we need to know how to prevent that from happening. We need a say in the crucial decisions that will be made over the next year or two as to what direction our public service broadcaster ought to be taking in response to overwhelming financial pressures. We needed … someone who would manage the television schedule and define what was required from the drama, documentary and reality departments…someone with a deep knowledge of all the different genres, and excellent grasp of audience needs, a keen sense of flow within the schedule and brutal competitive instincts. We needed a programming thug. That phrase, “the trade-off between quality and popularity” is a cop-put that occurs repeatedly throughout Sturberg’s book, and was a mantra of his enormously destructive, six-year stewardship of CBC English-language programming on radio and television. It is a false dichotomy, a boogeyman. It is of course not the case that public service programming is either popular or of high quality. CBC radio proves the point—it’s both at the same time. And in television one need only look to the BBC and the many public broadcasters in Europe and around the world that produce TV programs that are both of exceptional quality and enormously popular. The problem that is killing the CBC is the fact that, on television, it is not a true and authentic public broadcaster. It is an unmanageable hybrid. It must serve a poorly-defined public service mandate, but at the same time it is saddled with commercial sponsorship for half its income. The commercial mandate demands that advertising revenue be maximized. The public service mandate demands excellence in information and entertainment—which means reflecting the country’s values, interests and aspirations in all genres of programming. The job of the public broadcaster is to make popular programming excellent, and excellent programming popular. The job of a commercial broadcaster is to do whatever it takes to maximize advertising revenue. Sometime within the next two years, the CBC is almost certain to lose its single largest source of advertising revenue, NHL hockey. It will be out-bid for the contract by one of the country’s enormously wealthy commercial broadcasters, probably Bell Media. That will mean a loss of 40% of the corporation’s total annual ad revenue, but also a loss of something close to 400 hours of Canadian content programming—a hole that will have to be filled. Already bled white by decades of funding reductions from successive federal governments, the CBC is in no position to survive this blow. With a decidedly unfriendly patron in Ottawa, we can expect what will amount to a privatization of the public broadcaster. This is a process that has been underway now for nearly a decade, under the stewardship of former CBC president Robert Rabinovitch, the current president Hubert Lacroix, and vice-presidents Richard Stursberg and Kirstine Stewart. By privatization I mean the sidelining of the public service mandate for excellence in favour of the commercial mandate for ratings and revenue. As Stursberg himself states in his memoir, under his reign the CBC was re-oriented in a purely commercial, ratings-driven direction, just like the surrounding hoard of commercial broadcasters. And then, of course, there’s the fact that the CBC has applied to the CRTC for permission to introduce advertising on Radio 2. That was done under Stewart’s direction. The decision is imminent. It’s hard to believe that all of this did not play into Stewart’s decision to jump ship. Canadians need to know, and she has a duty to tell.